Miller Weldmaster designs, develops, and manufactures heat-seaming equipment and tent welding machines to make fabric tents. Use Miller Weldmaster tent welder machines to produce tent sidewall panels, sidewall connecting welding keders, sidewall grommet welding hems, tent top welding hips and more. 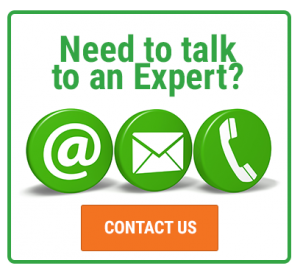 Why Use a Miller Weldmaster Tent Welder? Miller Weldmaster machines help customers grow and adapt their business. Tent and structure industry leaders rely on our innovative, high-performance tent welding machines to create extra-long, precise seams. Welders and machines help businesses stay competitive and save time. The success of our tent welding machines stems from a long history in the fabric structure supply industry. Explore some of our tent welders and machines below. 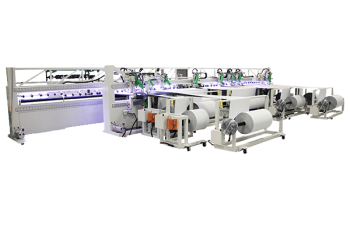 A complete, automated system for high speed single or double keder production. 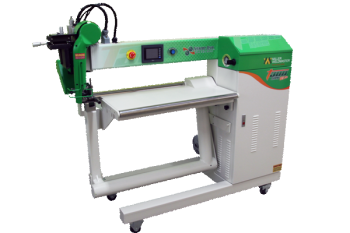 The T300 Extreme Keder System is built to weld keder as fast as possible. 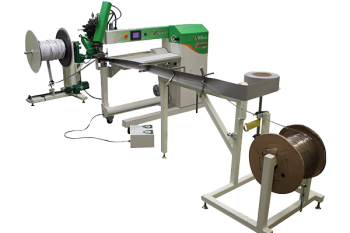 With welding speeds up to 100ft per minute, the T300 Keder system will make rolls of keder as fast as your customers order them. 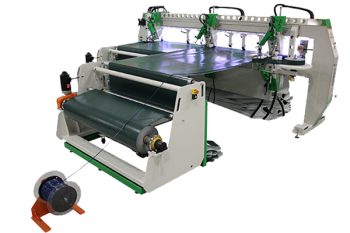 The oscillating rewind and controlled fabric payoff system ensures you have a quality roll of keder every time. The Spec Extreme is for the budget-conscious companies who work using Keder every day. 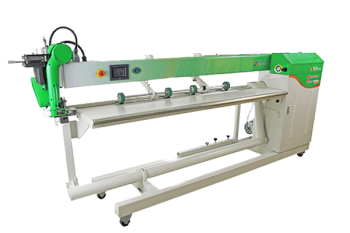 The machine is reliable and able to create any keder product quickly and consistently. 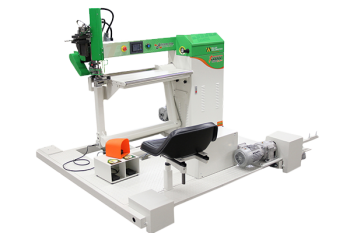 This is best for the in-house production of your largest products with the capacity to weld any length, allowing easier material handling for the operator and alleviating the weight of long, heavy fabric. Heavy duty construction for your largest shelter production needs. Weld large panels and finish edges on one machine. The T600 Extreme Shelter is ready for any tent or shelter application. 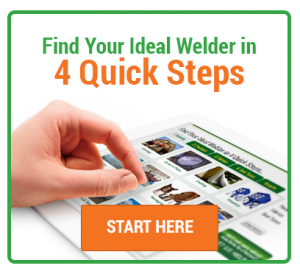 Finish all welding in one pass including hems, overlaps, webbings, grommets, and keder. 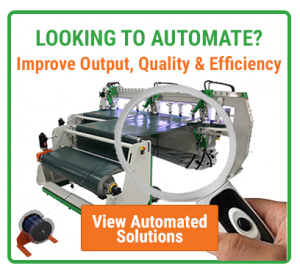 Increase production by adding cut-to-length capability for faster product ready processing. Our M100 is built to your production needs. 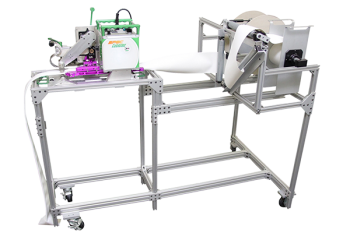 With multiple roll production and an array of finishing options you can produce any product. 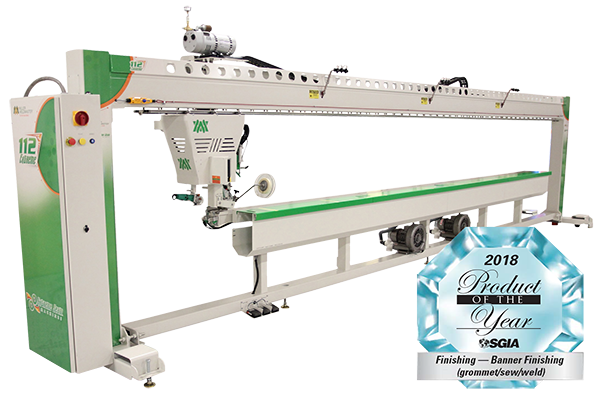 Our M100 can accommodate any seam type, cut to length options, and process controls, all automated to increase your production.